Padua (Padova) is a large town (population 210,000) in the Veneto region in north-eastern Italy. Padua is home to an ancient university, and parts of the town centre have a very studenty feel to them: young people revising under shady trees or meeting up before lectures. Successful modern business exists alongside unspoilt historical sights, and there's lots for the visitor to do. There are some troubled housing areas in the outskirts, but these don't impinge on the tourist's experience. Padua's nearest equivalent in Britain would probably be Oxford, and while the Italian town may lack punting undergraduates, it can match Oxford's dangerous cyclists. Padua's biggest tourist attraction is the Scrovegni Chapel (Cappella degli Scrovegni), with its priceless frescoes by Giotto. Despite the town's many other interesting sights, this is the only place in Padua where tourism has taken over. The Basilica of St. Anthony of Padua (known simply as Il Santo) is also on some tourism/pilgrimage circuits but through the rest of town you're more likely to encounter students and smartly-dressed businesspeople than tourists. There is a lot more to Padua than these two sights, however. The town centre is an attractive place to explore, with many historic streets to wander. It's always been a wealthy town, and has fine architecture dating to different eras. Giotto's are not the only frescoes in town, and the art-lover has masses to admire in the town's churches and art gallery. 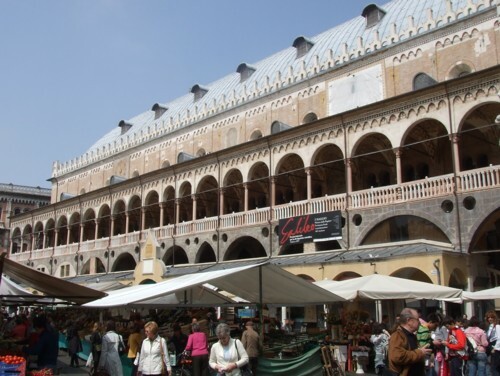 And after the visitor has enjoyed Padua's lovely parks and gardens, and strolled the pleasant arcaded streets, there is still plenty to do in the area around the town: villas to visit, boat trips and thermal spas. The keen traveller really needs more than one day in Padua. Many of the town's attractions have limited opening hours, with those infuriatingly long Italian lunch breaks, meaning that you will need to plan your schedule carefully to fit everything in. If Padua appeals to you, we'd recommend staying several days and giving yourself time to potter around, visit local villas and maybe take a boat trip. If you really only want to see the highlights, though, you can get an idea of the city in a shorter visit. The most important advice is to book in advance for the Scrovegni Chapel (which is combined with the Civic Museums). Tours are often fully-booked, so to avoid disappointment book at least a day or two in advance. Booking online with a credit card is the easiest method; we've tried this and had no problems. When you are booking to see the frescoes, consider buying a PadovaCard (sic), which costs €14 and includes admission to the chapel and to most of the other central tourist attractions. It lasts 48 hours, and also offers free travel on local buses and discounts for additional attractions. It can be bought at museums and local tourist offices, or online when you are making a booking for the Scrovegni Chapel, in which case you'll pick your card up at the Civic Museums ticket office. You'll still have to pay the chapel's booking fee of €1. If you are travelling by train, you'll arrive just north of the town centre. Leaving the railway station, take care not to get run over; what appears to be a pedestrianised forecourt is also a taxi lane. In fact, pedestrians need to be alert throughout the city centre; cyclists are a very real hazard. Pay a visit to the tourist information office next to the station if you want to pick up a map or leaflets. There are bus stops outside where you can catch a bus into the centre - buy a ticket before boarding, unless you already have your PadovaCard. However, it's not a long walk to the heart of town. The Scrovegni Chapel and Civic Museums are between the railway station and the centre. To walk there, take the main street opposite the station and keep straight on. Just after a pretty park you'll come to the Civic Museums. The entrance is a short way down a side-street. Alongside is Padua's Roman arena, now grassy ruins. If you're busy sightseeing and just want a quick picnic, you'll find plenty of ingredients in the market around the Palazzo della Ragione. There's also a Pam supermarket close by. 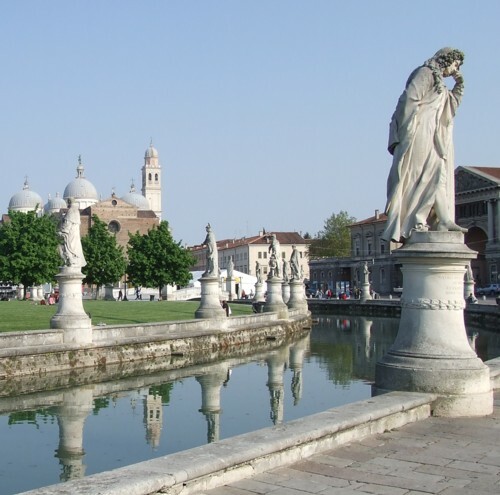 Nice places to eat picnics include the public gardens off Corso del Popolo and the big piazza at Prato della Valle. Around the markets there are also lots of bars where you'll be able to buy rolls and snacks, as well as restaurants for a more substantial meal. We like to fill ourselves up cheaply at the Brek self-service restaurant. This is a chain offering cheap and reliable meals, with deals such as pasta, dessert and drink for €5. There's a branch right in the centre, between Piazza Cavour and Riviera Ponti Romani, and another nearer the railway station. For an afternoon treat you won't have to look far to find a refreshing ice cream or fruit sundae. Grom on Via Roma is a new Italian institution making high-quality ice cream loved by Slow Food aficionados. Tourist information offices are always a good to start, and the Padua APT (tourist information board) stocks some useful maps and leaflets as well as the PadovaCard. There is one tourist office just outside the station, to the right as you exit the building. Another hides behind Caffe Pedrocchi. If you are heading to the Scrovegni chapel to collect your pre-booked PadovaCard, it's worth popping into a tourist office too - an information leaflet accompanies the card, with a map, details of free entry/discounts and opening hours, and when we picked up the card at the chapel, they didn't have any copies of this. The most convenient airports for cheap UK flights are Venice Marco Polo (Easyjet, BA) and Venice Treviso (Ryanair). Padua can also be reached by train from Brescia, another Ryanair destination (they call it Verona Brescia). From Treviso Centrale station, the journey to Padova is an hour by train (change at Mestre). The Treviso Airport - Venice ATVO bus service stops by Mestre station. 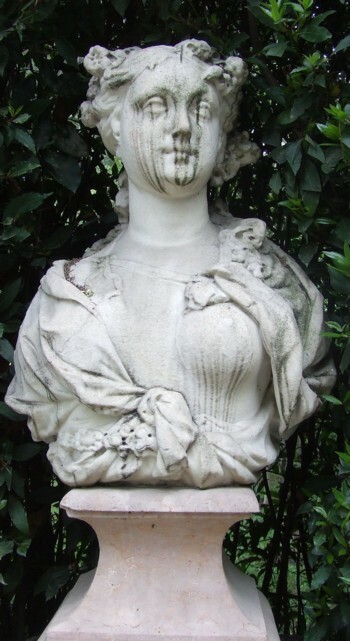 If you're arriving at Venice Marco Polo Airport, you can catch a bus to Mestre and then take the train to Padua. There is a direct bus service, run by SITA from Marco Polo Airport to Padua bus station - the journey takes an hour and ten minutes, and the frequency of buses varies from half-hourly to hourly during the day. Don't forget the destination will be listed as Padova, not Padua. Padua has an efficient local transport network, with several bus routes linking the main attractions and the railway station. It helps if you've already picked up a streetplan, as bus information boards tend to list abbreviations of street names as destinations. If in doubt, check with the driver or a local. Venice is just 20-40 minutes from Padua by train, depending on which type you take, making it an easy day trip. Treviso is another pleasant Veneto destination, and Vicenza is just a short train or bus trip away. The countryside closer to Padua has plenty to offer without travelling further afield. Picturesque villages and villas abound - the tourist information office can supply information and bus timetables for planning days out. An expensive but comfortable way to visit some of the villas along the Brenta is to take an organised boat trip. Several different companies organise these excursions; the full-day version cruises all the way from Padua to Venice, stopping to visit three villas en route. The spa area around Abano Terme, a few miles away, offers relaxation after busy urban sightseeing.